Alexa can now be integrated into office equipment such as audio calling headsets and video conferencing systems. Amazon has created an Alexa for Business integration for third-party device makers, allowing its the popular voice assistant to be embedded into a wider variety of office equipment. Alexa for Business was launched last year to help companies deploy and centrally manage large numbers of Echo Devices on a network, offering support for most of Amazon's range of smart speakers, from the Dot to the touchscreen-enabled Show. The company announced on Thursday that vendors using the Alexa Voice Service software development kit will be able to register their products with Alexa for Business. For business customers, this means Alexa can now be incorporated in office equipment, then managed as a shared device using the Alexa for Business console. Among the vendors Amazon is currently working with are Plantronics, iHome, BlackBerry, Linkplay and Extron. "We are excited to be working with device makers to bring the power of Alexa to our customers through the devices they already use around the office," Collin Davis, general manager for Alexa for Business, said in a blog post. "Customers get all the benefits of Alexa for Business without having to install any new hardware." Broadening the number of devices that can be managed by Alexa for Business is a "smart move" on Amazon's part, said Raul Castañón-Martínez, a senior analyst at 451 Research, as the company pushes its popular voice assistant into the workplace. "Making Alexa for Business more ubiquitous should significantly expand the footprint for the intelligent assistant, making it more handy for enterprise users," he said. "I believe it will have a major impact for the use of voice-enabled devices and applications in the enterprise." Castañón-Martínez noted that partnering with established vendors in the enterprise audio/visual device space will smooth the transition into the workplace for its voice assistant. Amazon is still a "relative newcomer" to the enterprise with products such as Alexa for Business and its Chime video-conferencing tools, he said. "It makes sense that AWS will choose to position Alexa for Business as a platform that can be accessed from third-party devices and applications rather than trying to compete head to head with vendors that are firmly entrenched in the enterprise," he said. The launch follows recent updates to the Alexa for Business platform, which was revealed at last year's Amazon Re:Invent conference. This includes the addition of a room-booking feature which lets staffers check the availability and reserve meeting rooms using voice interactions. 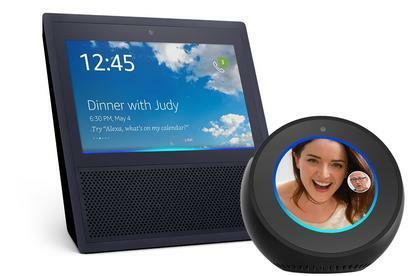 "From helping users to joining meetings easily through voice commands to the latest 'Room Booking' feature, Alexa for Business focuses on providing users with more intuitive, natural, contextual and relevant meeting experiences," said Vaishno Devi Srinivasan, analyst for Frost & Sullivan's Digital Transformation group. "Updates such as Room Booking for Alexa for Business will immensely encourage users to adopt AI in meeting room technologies."